These lightweight Forevermark bangle bracelets are available in white, yellow and rose gold. Made of flexible 18 karat gold that bends open and slips onto the wrist effortlessly, they are perfect for stacking or to wear alone. 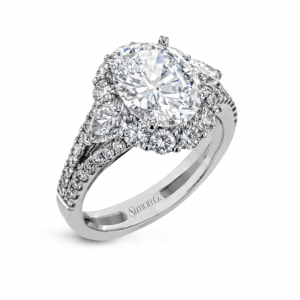 Visit Pav & Broome Fine Jewelry and shop the largest selection of fine diamond jewelry in South Mississippi. Price: Call or visit Pav & Broome for pricing information. Flex-Forte by A. Link, a new collection of diamond jewelry that is wearable, effortless, and beautiful. Each piece is made with a lightweight, flexible 18 karat gold that twists open and easily slips on to the neck or wrist. The lightweight feel of this collection makes each piece perfect to wear day into night, dressed up as a formal accessory, or dressed down for a more casual look. The collection is made up of necklaces, stackable bangles, hoop earrings, and rings, and uses a variety of diamond weights and gold colors. A Flex Forte piece is a great introduction into diamond jewelry for any woman, whether she is purchasing for herself or receiving it as a gift. Enjoy elegance for every day with A. Link Flex-Forte.